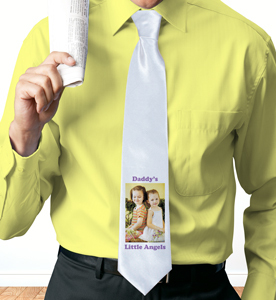 You can never have enough neck ties, just ask any guy that needs to wear one for work or business. 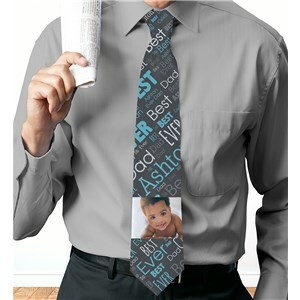 Add a little flair and personal style to any wardrobe with a personalized tie from GiftsForYouNow. From the simple, yet tasteful to the flashy and maybe a bit tacky, the male on your gift list this year will not only get a kick out of his gift, he will actually wear it. 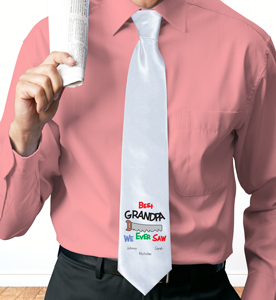 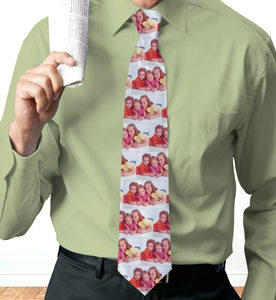 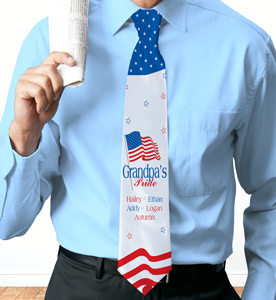 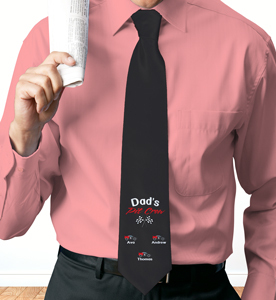 Perfect for dads for Father’s Day, Grandpa’s, Uncles or best buddies, a custom tie made from poly satin is a can’t go wrong gift. 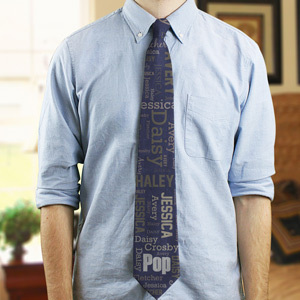 Add a photo or name and make that tie extra personalized.